Lawrence B. Abitogun, called by the special grace of the Almighty God through our Lord Jesus Christ; by the empowerment of the Holy Ghost, witnessing and preaching the gospel to the world, was born to a Christian parents at Uso, Ondo state, Nigeria. 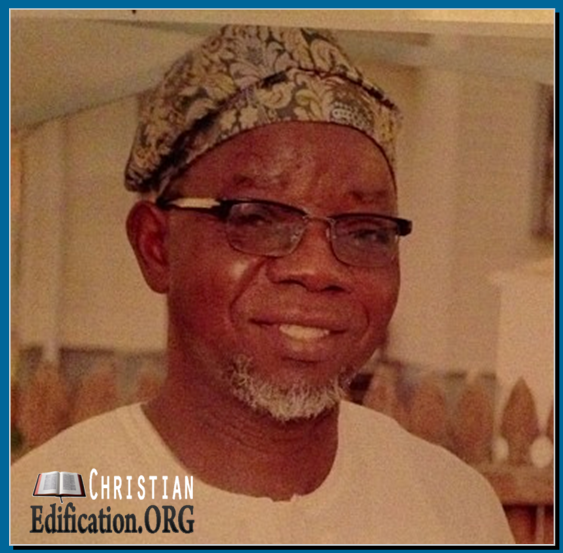 He received his elementary and secondary education in Nigeria from 1959-1971. He obtained a Bachelor degree in Fine Arts and a Master of Science in Industrial Arts at North Texas State University, Denton TX USA in 1979 and 1982 respectively. We'd love to get a feedback from you... Please Comment!